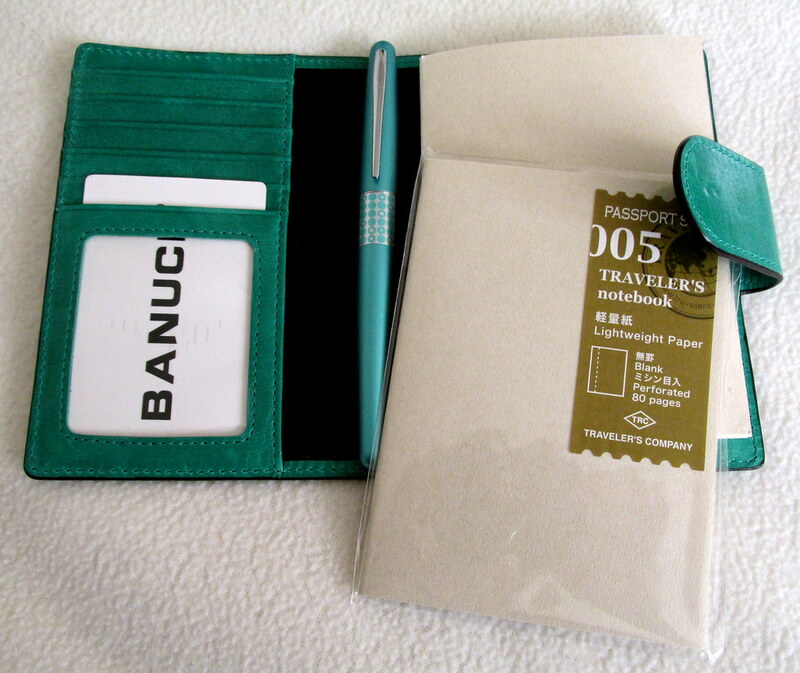 Are you acquainted with the Midori Traveler’s Notebook? 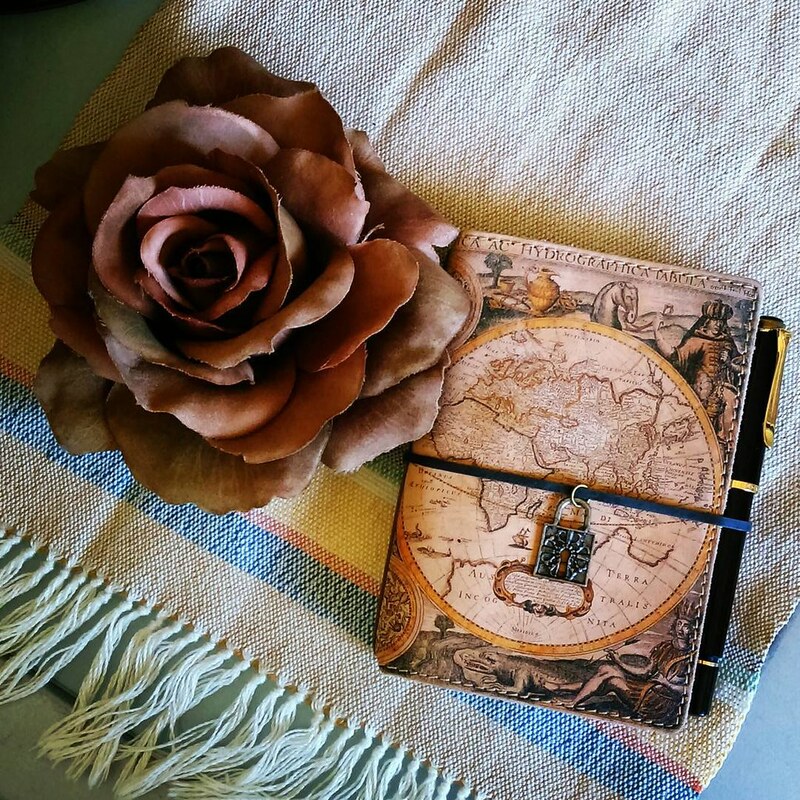 It’s a journal/calendar/notebook designed to follow you anywhere. 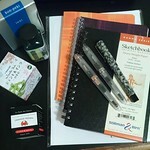 Jet Pens introduced me to this brand that has since become a staple in my writing arsenal. 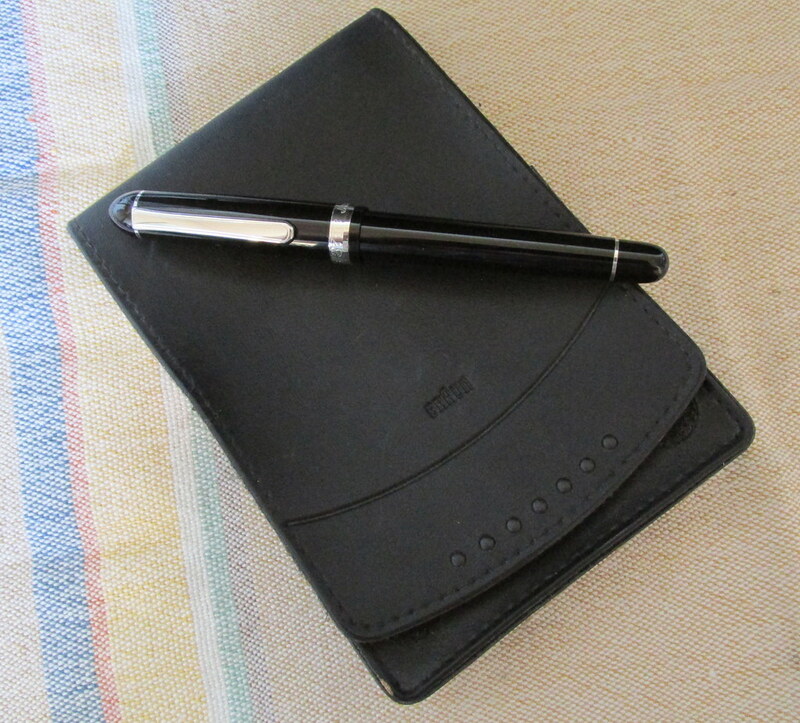 The original black and brown leather covers are suitable for even the most conservative work environments, while the flashy, happy, colorful ones made by devotees invite a steady stream of journal entries. But there is more. In case you aren’t familiar with Midori, there are lots of video tutorials about making covers and inserts (cahiers) and other clever additions to personalize your journal. One useful benefit is that the inserts can be limited to single subjects and archived for future reference. Midori didn’t invent the cahier, but they did devise a means of connecting several together. What looks like a book is actually a number of inserts that can be removed or swapped for instant customization. 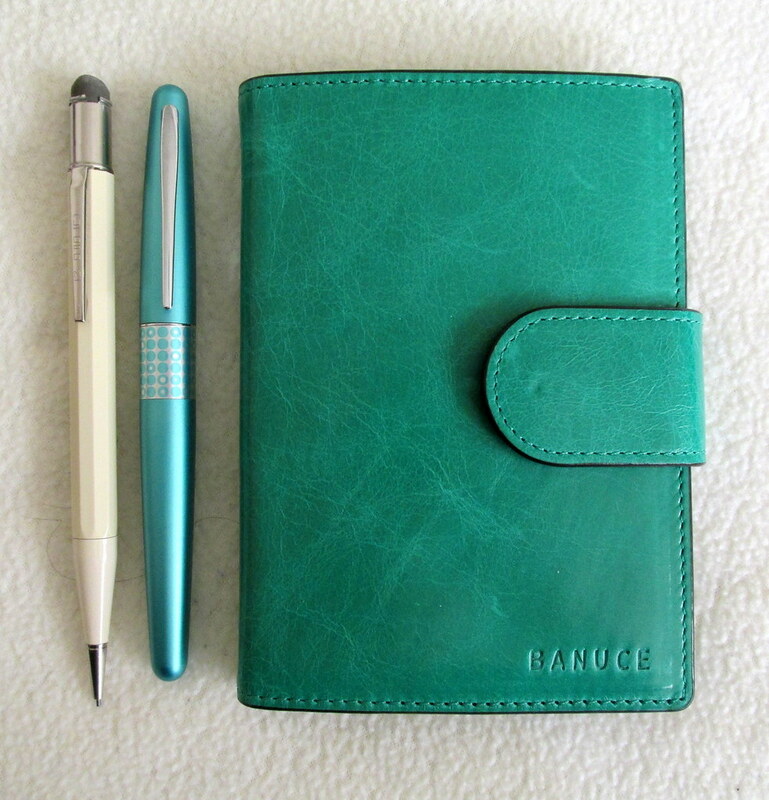 Currently my Midori contains three inserts with pen and art related notes and swatches. In January, a calendar will get added. The elastic bands make it simple and easy to add or remove inserts as well as other additions like pockets and folders. 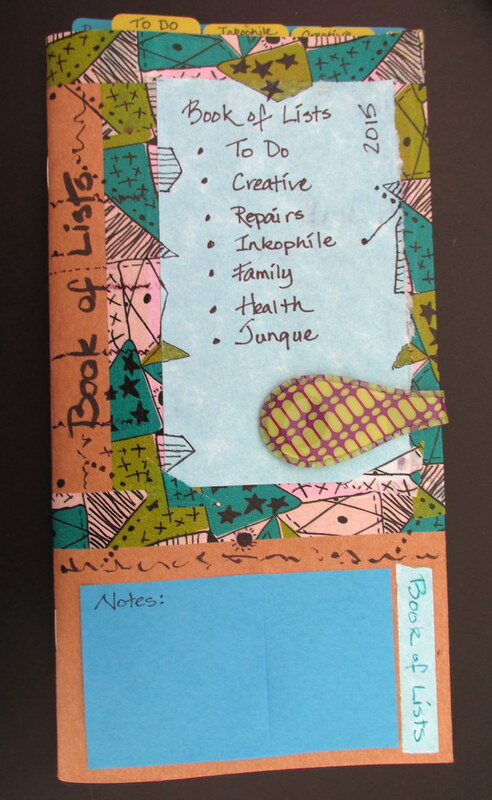 Pictured below is a single insert decked out with washi tape, Post-its, colorful tabs and some pen work. The uncoated and unmarked cardstock cover got along well with a brush pen and glue. For brief notes, the Passport (90mm x 124mm) will do. 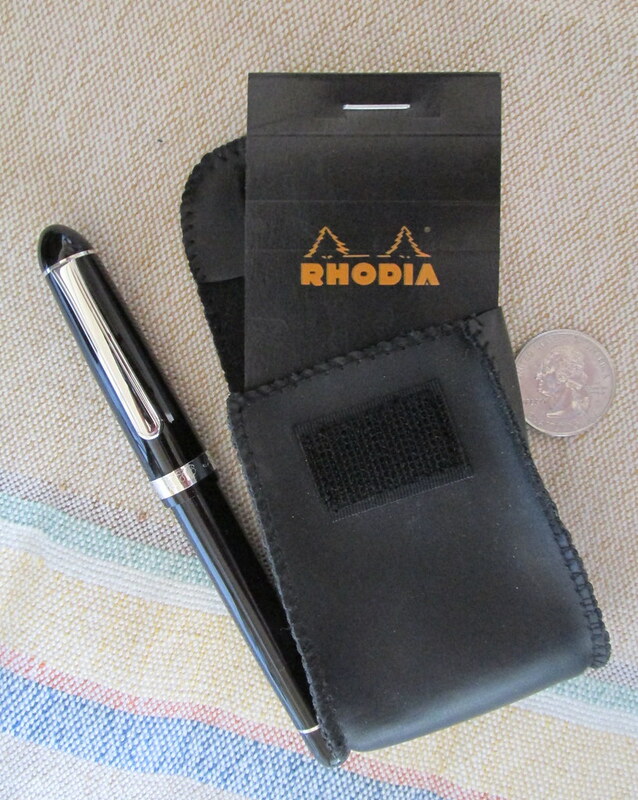 For more extensive writing or for large handwriting, the Traveler’s size (110mm x 210mm) will provide room to roam. From minimalist to loaded to painterly, Midori works well for all sorts of uses. Many of the modifications could be adapted for other journals and notebooks like composition books and Field Notes journals. Midori paper is excellent with fountain pen ink and comes in a large assortment of styles from blank paper to calendars. It’s easy to see why it has a cult following and a variety of groups on Facebook. Not into DIY? Let an Etsy artisan do it for you. 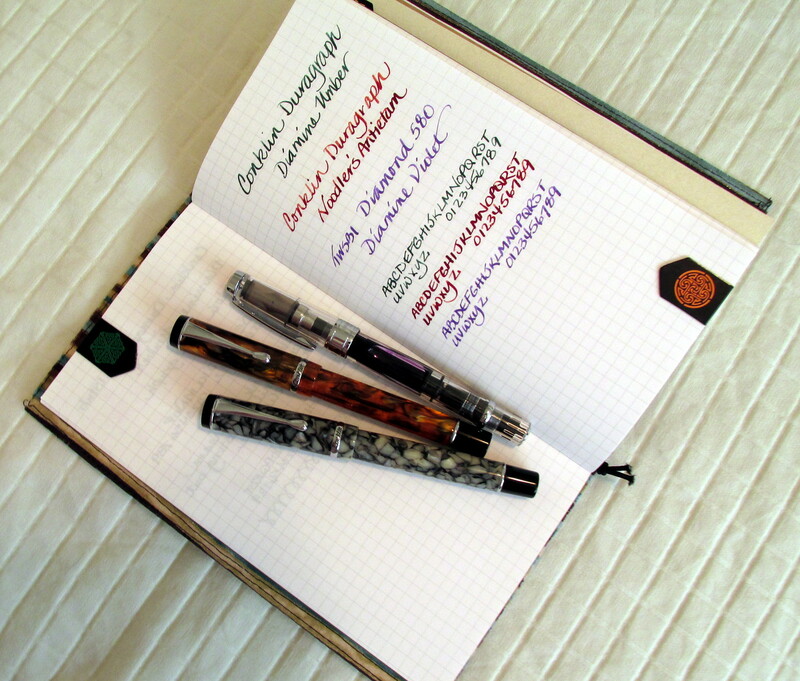 Want to try Midori notebooks? Jet Pens has enough variety to get you started. There are plenty of inserts and other goodies available in the Traveler’s size. 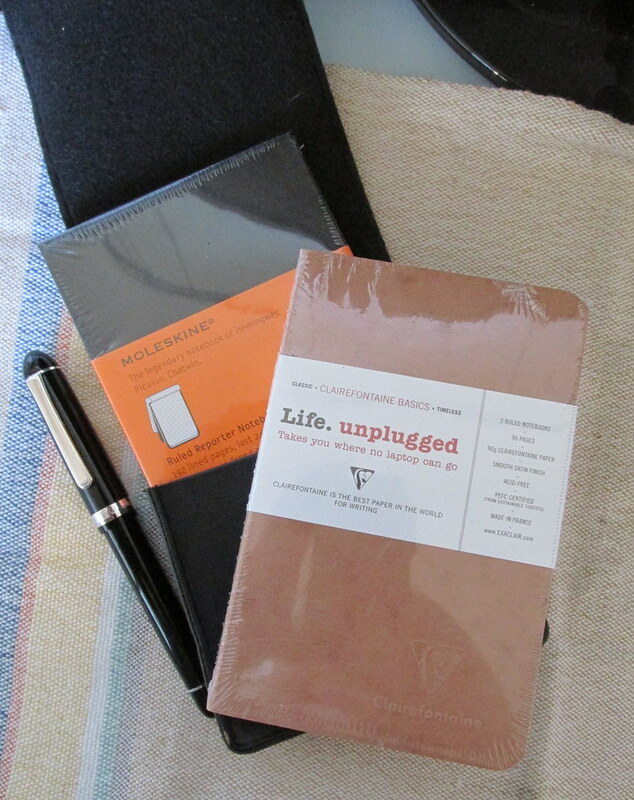 My favorite notebooks are the grid style #002 and the ultra thin paper #013. 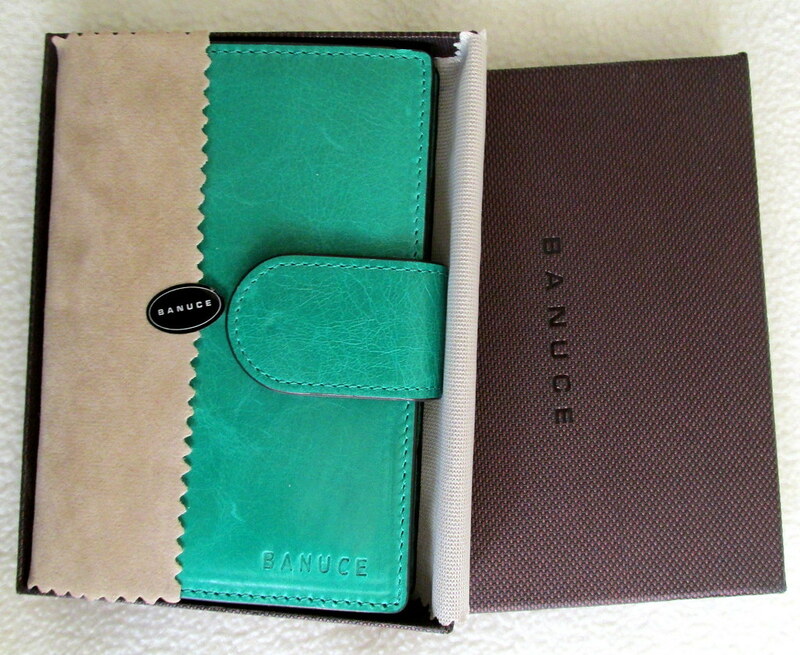 However, the Passport is more portable and fits nicely in the hand. I took an old passport cover and adapted it with Midori elastic bands to hold two inserts. 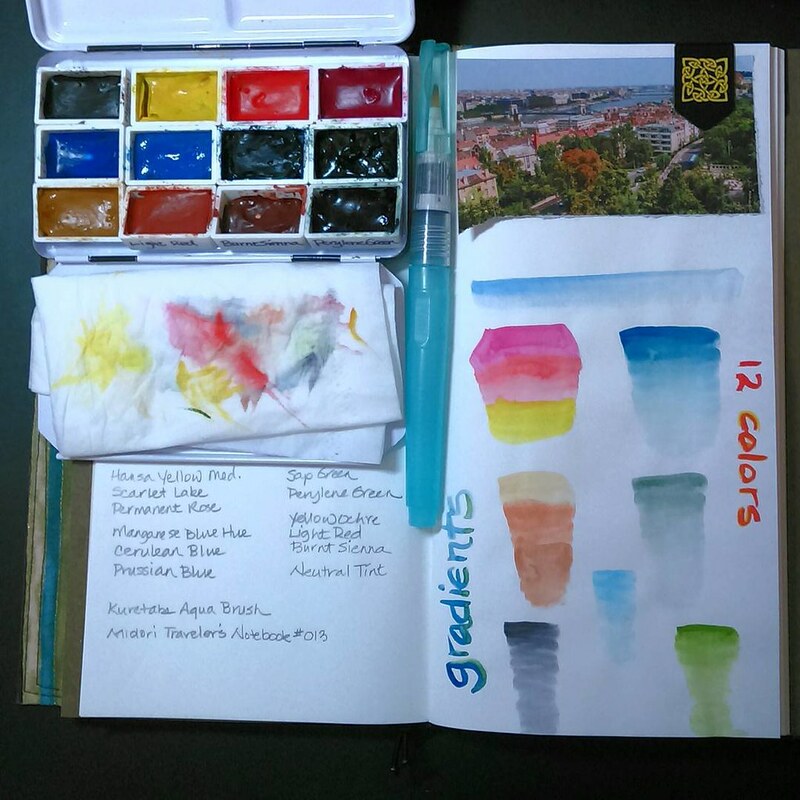 The Midori system is a tactile adventure as well as an excellent journal. Hard to knock it on any level. 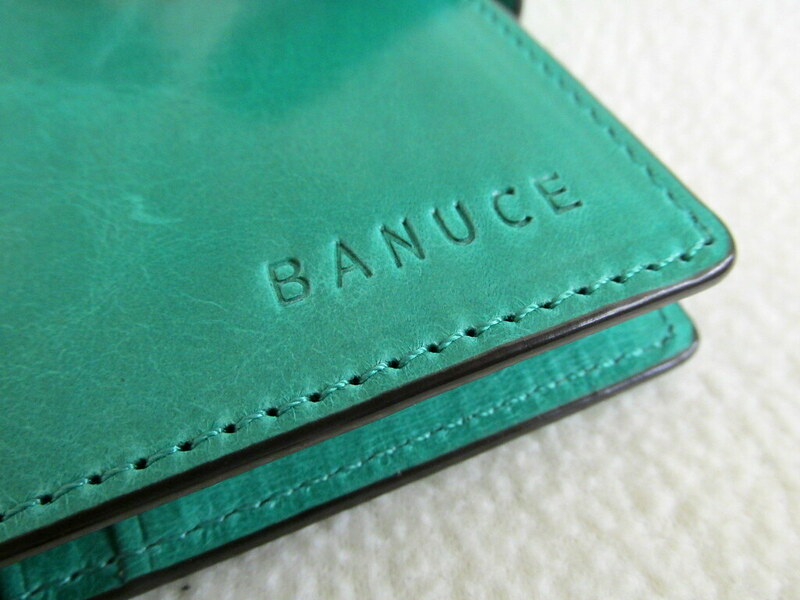 The #013 insert contains Tomoe River paper and shows only a slight amount of buckling with watercolor. At 128 pages, this lightweight paper refill gets my vote for best value for money especially since it is excellent with fountain pen ink. Leigh encouraged me to buy one and I am so glad she did. Stuff&Things Review: Midori Traveler’s Notebook (A Man’s Perspective) Bradley is a fountain pen user and has positive things to say about the paper as well as the format. He has made additional videos about the Midori TN including a modification that makes swapping out a journal very easy. 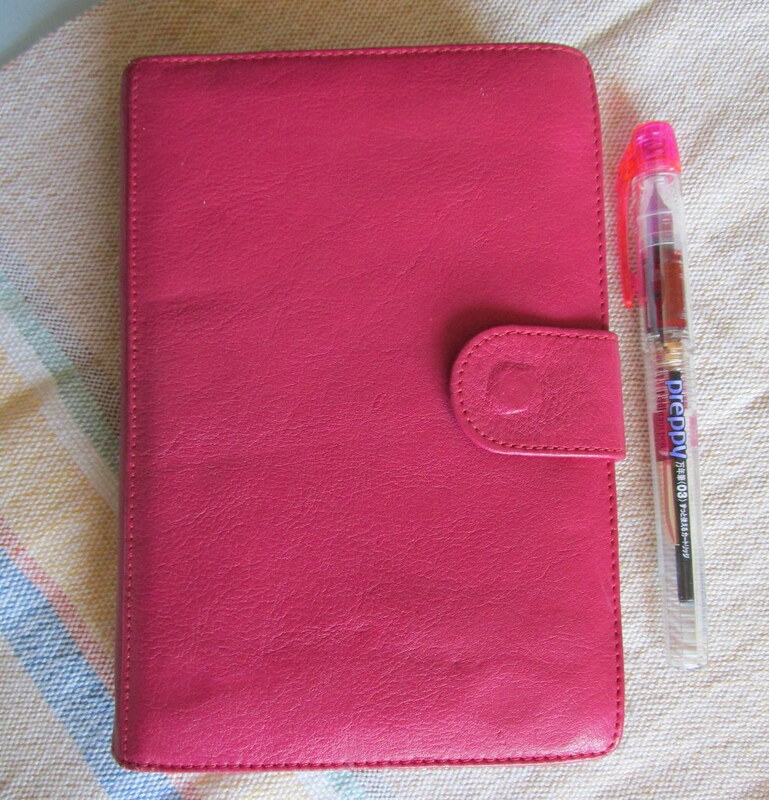 It took some trial and error, but several old cases and notebook covers are now fitted with new journals. Some of the paper will take a light wash of watercolor so those notebooks will see double duty. This leather checkbook cover must be at least thirty years old and hasn’t seen anything but the inside of a drawer for at least twenty of those years. Now it has a notebook all its own. 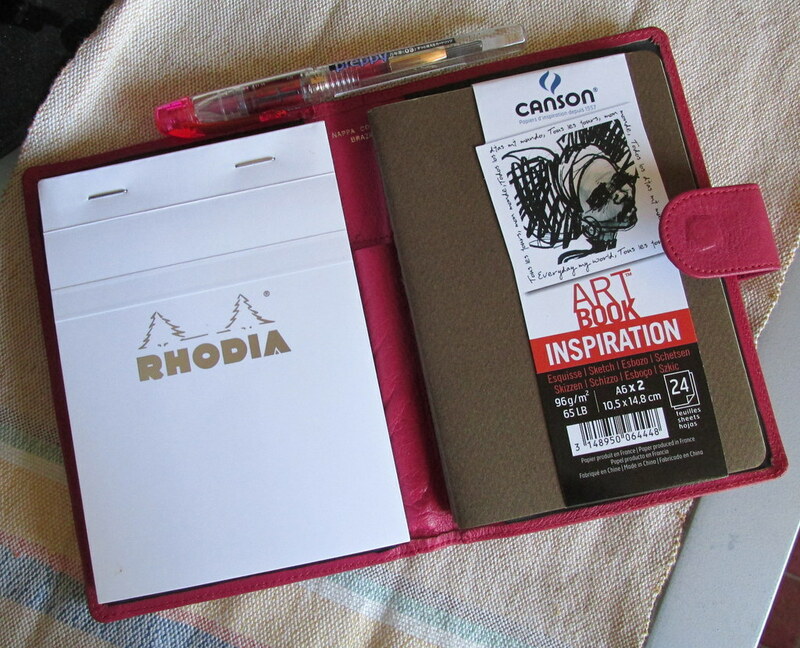 The passport case worked with a number of journals including those pictured from Rhodia, Exacompta and paper-oh though using Midori inserts transforms it into a Fauxdori. 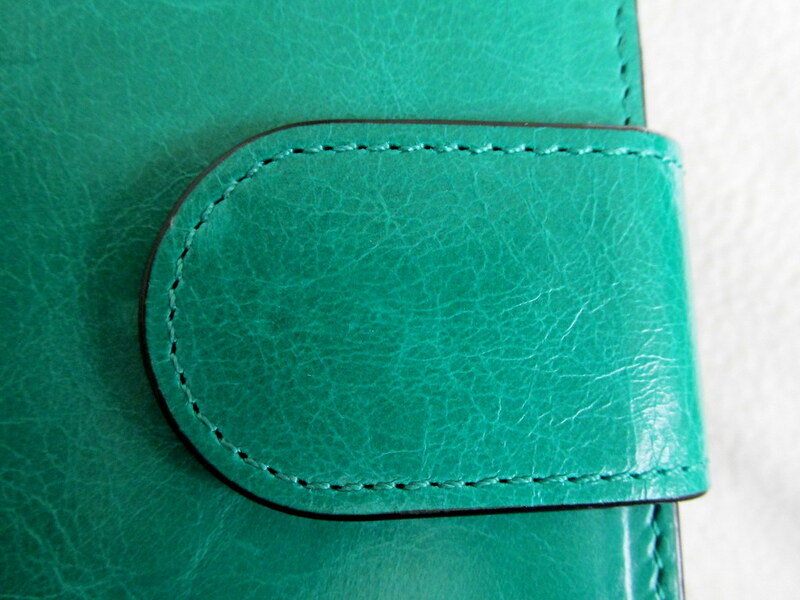 Midori bands hold the journals in place and keep it closed. The lock charm adds a whimsical touch as it floats across the equator. This well-used notebook contained a diary from 1986 and a blank pad on the left. 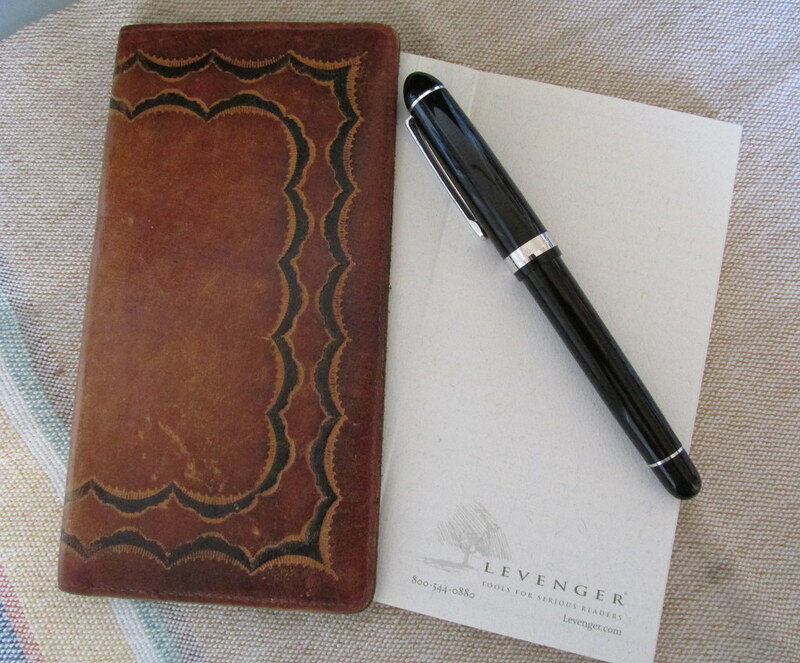 The leather still feels soft and inviting, but even more so now with a Rhodia pad and Canson art paper. This case was from my son’s first Braun shaver. I think concealing a journal is a much better use for it. This case is so tiny, it can fit anywhere. 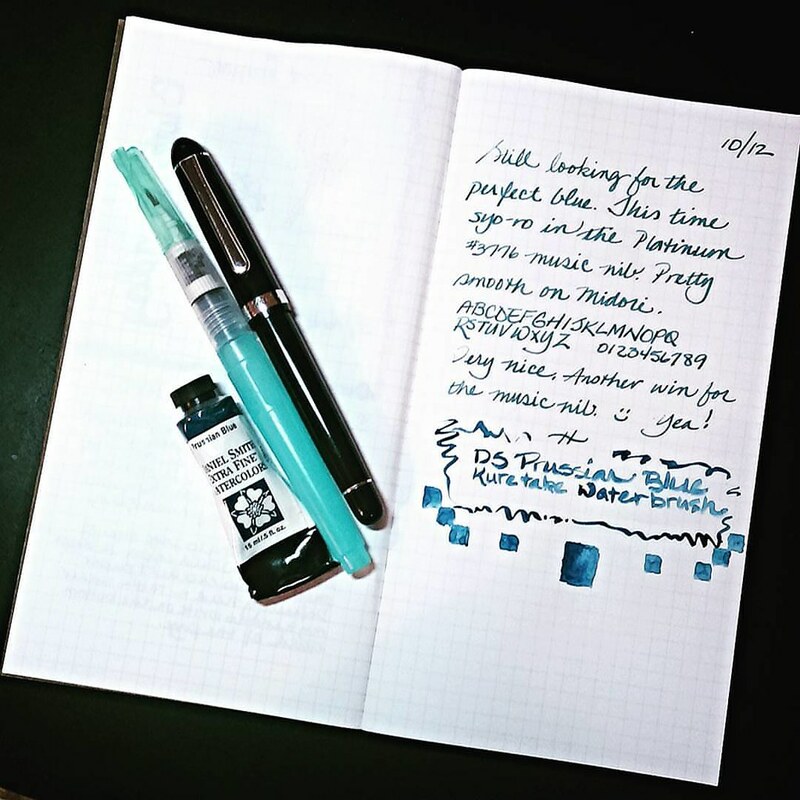 Discovering a similarly sized pad with paper that makes nice with fountain pen ink was a stoke of luck. 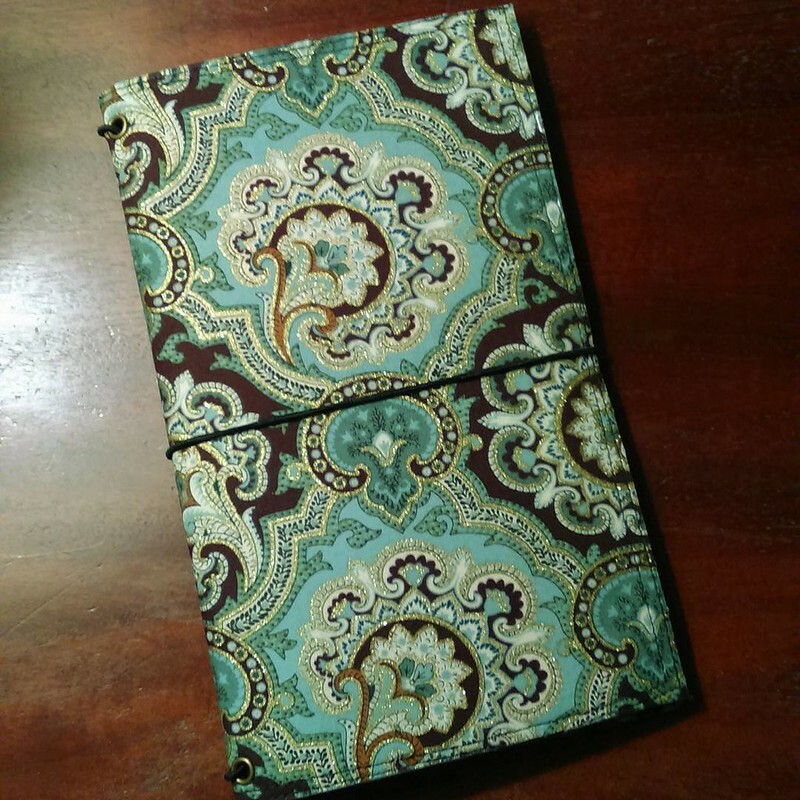 Not every journal needs a protective cover. Decorate a plain exterior with with washi tape (addiction warning), scrapbook paper, or decopatch. That will strengthen the cover as well as make it more attractive. 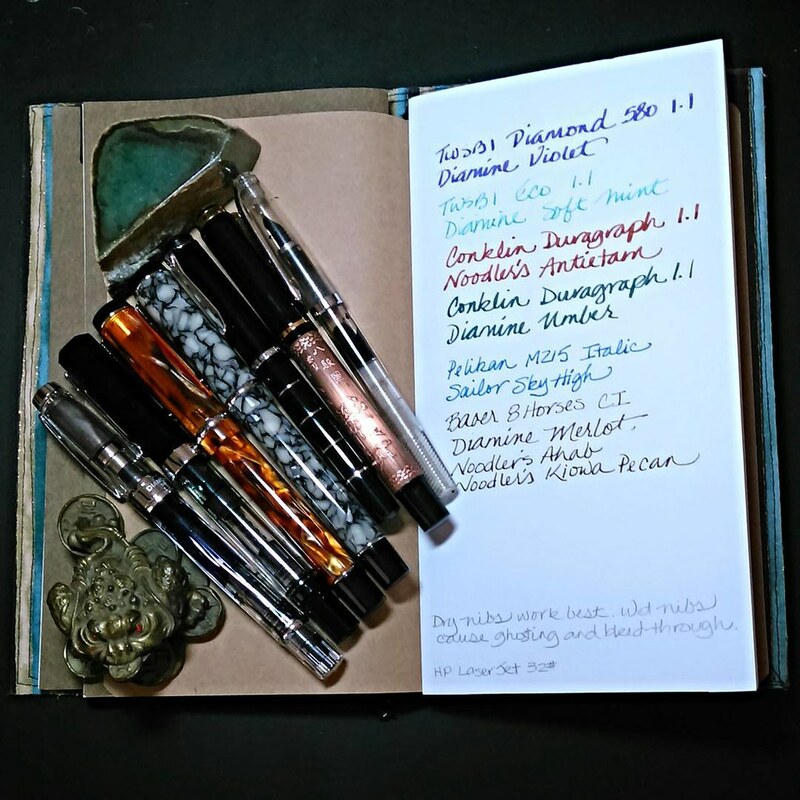 Whether it’s called recycling or re-purposing, matching old junk with fountain pen friendly paper creates new tools and makes each item useful again. No slackers in this lot now. Platinum pens courtesy of Luxury Brands USA. 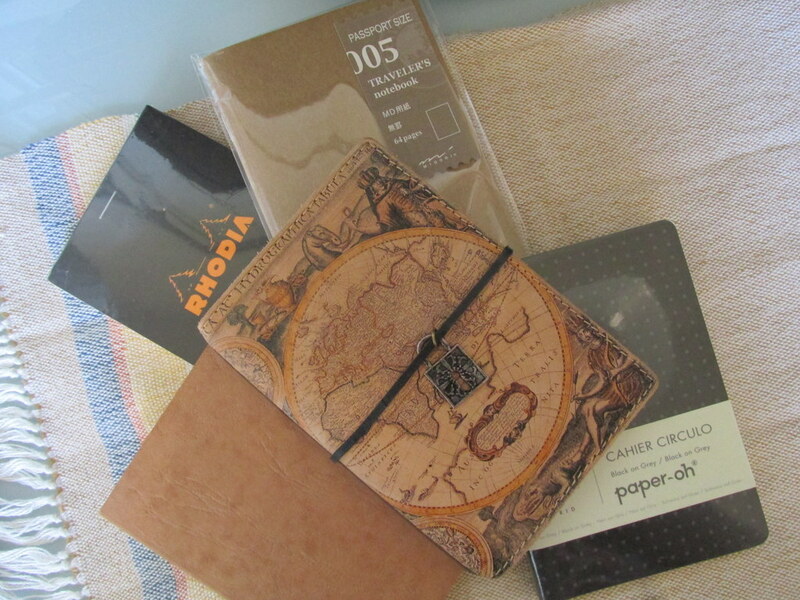 Rhodia, Clairefontaine and Exacompta notebooks courtesy of Exaclair. Paper-oh courtesy of paper-oh.com. Fine folks all.